Before my children were born, I never really had much of an interest in taking photos. I mean, sure I'd buy a throwaway camera before every big night out and I'd always be sure to take a few rolls of film on holiday with me (#Ifeelold) but that was pretty much the extent of my interest in it. I'm actually pretty gutted that I didn't care about it more back then as I visited some amazing places and saw some fantastic things that I'd love to be able to share with the boys, but I just don't have any photos of my adventures...they all ended up on undeveloped films or lost in my mums house. Once the boys were born though, a love of photography was born with them....suddenly I had this perfect little thing that I wanted to capture every moment of. I wanted to be able to save every smile, every dimple, every expression on their faces and so I found myself with my camera in hand more often than not and it's stayed that way ever since. The down side though? What to do with all of the endless photos I take! I have hard drive after hard drive full of thousands of photos, and every trip we take see's us return home with another memory card filled with 700+ new ones - I spend hours going through them, editing them and making them as perfect as I can - and then they tend to just sit on my computer, gathering virtual dust and never being seen or enjoyed by anybody. Every now and then I go through them, but not very often. So this month I've been on a bit of a mission to try and actually DO something with the photos I take, and it's actually been a really enjoyable process. Here are some of the ways I've been getting more out of our photographic memories. 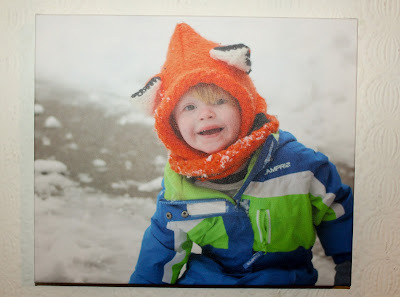 I realised when I was going through our photos that I had apparently had a spurt of ordering lots of prints and Photos on Canvas of our eldest when he was an only child, but apparently I stopped when my second son came along and life got busier. I realised that our walls were adorned with no less than 7 pictures of our eldest...and only 1 of our second son (taken when he was weeks old!) and NONE of our third. Eeek! So the first thing I did was set about remedying this by ordering a print of each of them - I really enjoyed going back through my favourite photos of them both, and ordering lovely new canvases. When they arrived the boys were absolutely delighted and loved helping us to choose where they should go...they now have pride of place on our living wall. 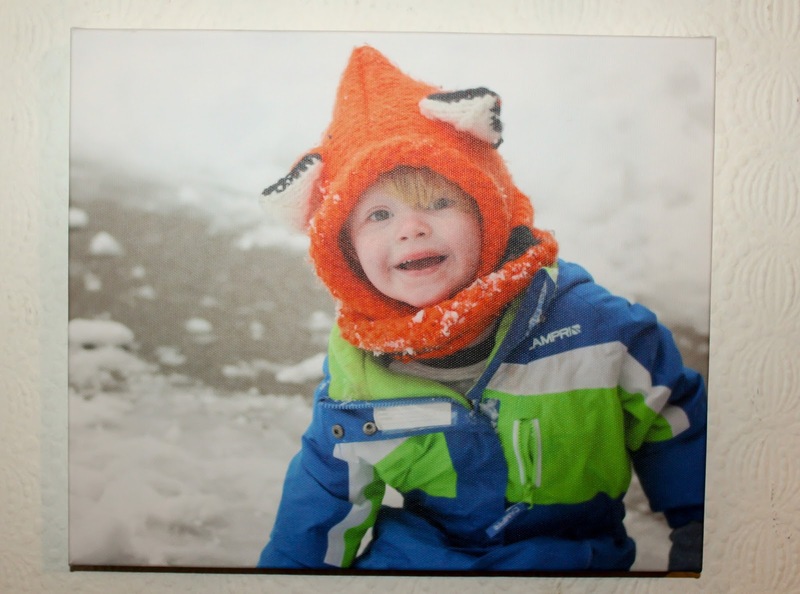 We used CanvasChamp for our prints - their website was so quick and easy to use, and their prices were incredibly reasonable too. The print arrived within just a few days and the quality was fantastic - I wouldn't hesitate to use them again. One of my favourite ways to enjoy photos is by actually holding them in my hands rather than just seeing them on a computer screen. I remember as a child I would spend hours pouring over my mums old family photo albums, and I want my own children to have that experience too - so I'm making the most of the many free photo printing apps you can get and having deliveries of prints every month. I try to theme my albums into particular years or events such as holiday destinations or occasions too. Another great way to keep photos safe is to have them printed into photo books. I love doing this to remember particular holidays, and I also try to create a photobook at the end of each year with highlights of what we've done each month - there are lots of free photo book creation apps too where you only need to pay the delivery charge! I used to love scrapbooking as a hobby back before I had children, and it's something I'm really keen to make time for again. I've only just started to create mine, but with so much lovely Project Life stuff available I know it's a hobby I'm really going to enjoy! 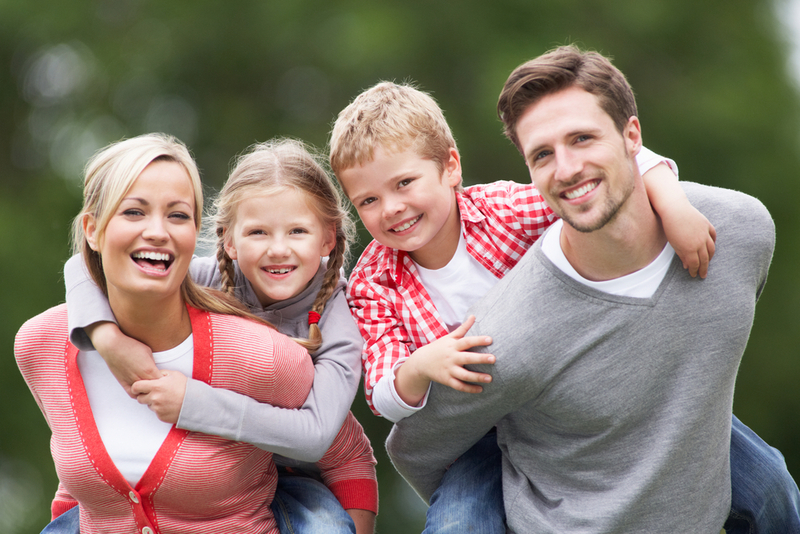 What do you do to organise and make the most of your family photos? I'd love to hear your ideas! If you'd like to win a canvas print of your own from CanvasChamp, be sure to head over to my Facebook page today as I'll be giving one away!